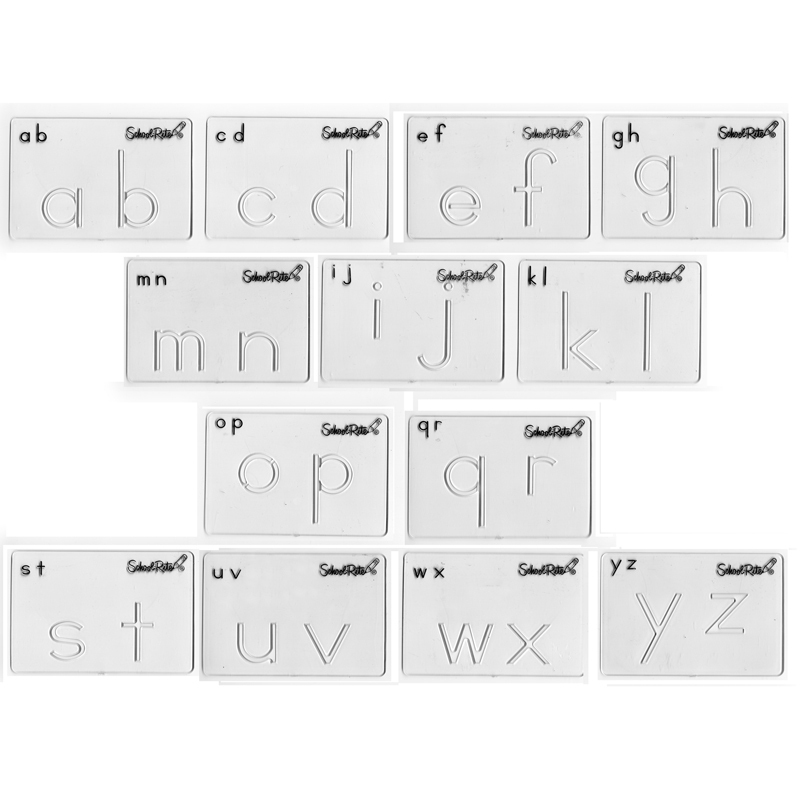 Offered in a 2-inch format, Giant Alphabet Sets are for children beginning to write the alphabet. They feature 2-inch letters on individual templates. These beginning alphabet templates are available in Manuscript and Transitional Manuscript (D'Nealian-style). A Numbers set is also available. Sample letters and numbers are shown on each template for proper letter and number identification. Manuscript alphabet (Zaner-Bloser style alphabet).